Our extensive market research reports on steel industry provide detailed account on this fast growing and vital part of the economy. 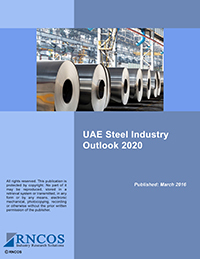 We analyze past and current market trends in the iron and steel industry, assessing the factors that can impact the global steel industry. Our scale and scope of knowledge allows us to thoroughly evaluate the steel industry and review its performance from a global perspective. Our meticulous and qualitative research covers varied aspects of the steel industry, like demand-supply analysis, import-export study, industry drivers, new growth areas, challenges, and future outlook. We focus on providing updated steel industry analysis on various countries, including the US and China, to clients to helping them align their business strategies according to the market.